Are you planning to start online business? Do you feel you can sell products on the internet better than putting up a physical store? Then this might be of great interest to you. Google is at it again. 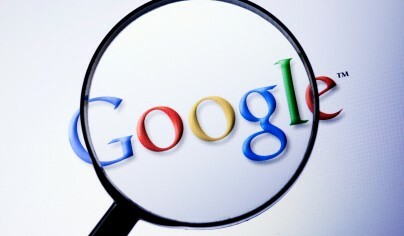 This search giant will be launching its online shopping service very soon. Called Google Shopping Expresss, this will compete against Amazon Prime as well as other major e-commerce players such as Target, eBay Now, Get It Now and Best Buy. 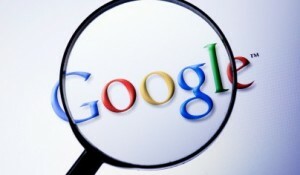 For this new online shopping service, Google will be utilizing its Google Wallet and partner with shipping firm BufferBox. Bufferbox is a delivery service based in Canada. This entry was posted in Google, Site News and tagged Amazon, e-commerce site, Google, Google Shopping Express on March 8, 2013 by Teresa Te. Cooking is one of the most relaxing and fulfilling activities that you can engage in. Even those who do not have much cooking experience can gain a lot of benefits spending some time in the kitchen and enjoying the fruits of their labor. For some, cooking is a necessity, but this fact does not necessarily take away from the experience. One thing is for sure – both the seasoned cook and the newbie has to have access to different recipes and ideas. Naturally, there is the adventure of coming up with your own recipes, but even the best cooks will tell you that inspiration also comes from existing dishes and recipes. Speaking of inspiration, here is something that will give you some assistance in that area. The newest recipe site in town is here to serve as your most important helper in the kitchen. 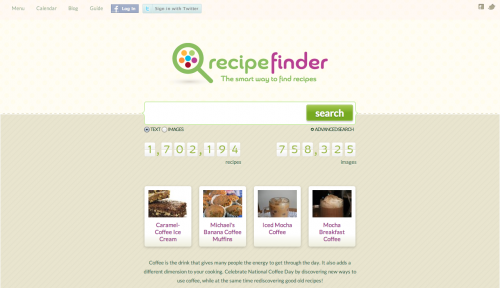 Recipe Finder is a new search engine that features a host of dishes that anyone can make at home. The advantage of Recipe Finder over other recipe sites is that it offers a collection of over a million recipes found online today. Recipe Finder crawls other recipe sites, doing away with the need of having to check individual sites over and over again. Consider it your one-stop recipe site! And with Recipe Finder regularly checking for new recipes, you are assured that you will always have something to new to discover. Searching for recipes on Recipe Finder is as easy as pie. You only have to enter the names of recipes or keywords in the search bar. If you have stricter requirements, you can make your search more specific by identifying details such as ingredients (include or exclude them), calorie count, cook time, number of servings, and so on. Furthermore, you have two viewing options: text or images. If you want to get cooking immediately, the former option is perfect. If you want to choose recipes based on how the final product looks, then the latter is ace. Recipe Finder can help you get organized. It has a built-in menu creator which you can use to plan meals. Whether you are preparing for a normal everyday meal or a special one, the menu feature can make the planning so much easier for you. And if you want to plan meals days or weeks in advance, the calendar function will serve you perfectly. Finally, if you like having printouts of your recipes, you simply have to press the print button on the recipe page. Ready to start cooking? Visit Recipe Finder now! This entry was posted in Feature, Site News and tagged recipes, search engines on September 29, 2011 by dave. So there is something I know fairly well, and it is called burnout. It is a condition where I pile on so much work that my life only resolves around work, and I don’t do anything else. This works for a little while, but eventually, any and all work seems like too much. My relationships suffer, and so does the quality of my work, and I eventually realize that I have taken on too much and begin to scale back. You might have noticed that posting has been a little slow here, and that is because I am really trying to throw myself into doing work for everyone else. I have since contacted everyone I do freelance work for, and let them know that I just can’t keep it up. I have to focus on the company that pays my bills, and gives me a full time income: Splashpress Media. Moving away from working on other projects will mean increased quality of work on their sites, as well as this one. Hopefully, you haven’t all left to find someone better to read. Check out Devlounge, Blog Herald, Blogging Pro, and Forever Geek to read more articles by me. This entry was posted in Productivity, Site News on April 5, 2010 by Admin. Incase you hadn’t already noticed or seen, this blog is now owned by Splashpress Media. This might scare some of my readers, but I want you to know that nothing is going to change. It is still me, David Peralty here. I am still working with Grand Effect and their partners to make everything go amazingly on that end as well. Splashpress Media will allow me to focus more on the writing, and not worry so much about other aspects of running this blog. They also helped me when I was in a financial pinch, so I owe them greatly. I have worked with Splashpress before, and so I am excited to see what they can bring to the table in terms of support. They hold a nice stable of popular blogs on blogging, and this one, while added to their stable, won’t be lost in the crowd. I have ideas and articles that I will be publishing that will focus on the things I have been learning, and feel bad that I’ve been giving out so many opinion posts that might not have been to your best benefit as of late. My excuse is lame: I’ve been busy. But I want to thank you all for being so helpful, so patient, and I owe you all so much. I want to thank Splashpress Media for their help, and if you have stuck around for the last two months, you’ve already seen the changes that Splashpress Media has made, and so this announcement will hopefully not change anything from your perspective. This entry was posted in Site News on December 9, 2008 by Admin. Recently, over on BrandingDavid.com I have gone ahead and added a members-only area to the site where I will be working closely with 50 registered members on building up their business, making more money, and learning the ways of blog-fu. I currently bill myself out at around $120 per hour, depending on the needs of the client, and so I have priced the members area aggressively at only $10 per month, or $120 per year. Those purchasing a full year in advance will also get an hour of consulting. That means, if you buy a minimum of one hour of consulting time, you also gain entry into the member area. What do members get that normal readers of this blog do not? It is already doing rather well as new members continue to sign up and get the help they want and need. The best part about getting in early is two fold. First off, you’ll get to help shape the content and get even more personal attention, and secondly, in February 2009, I will be raising the entry rates, and so those that join today will keep their current membership rates. Come check out the Branding David Premium Partners area and if you don’t enjoy what you get out of it, then you can cancel at any time. This entry was posted in Site News on November 15, 2008 by Admin.